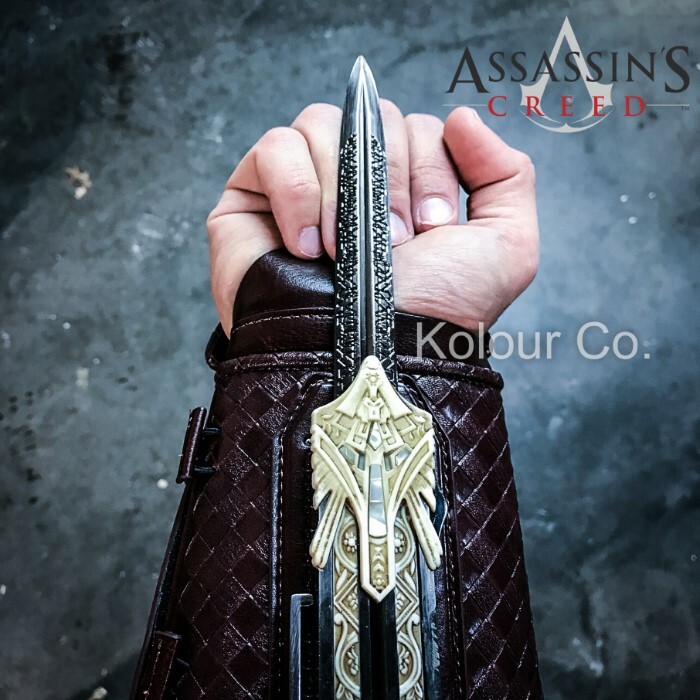 Dive into the dangerous world of Assassins with this officially licensed replica of the Hidden Blade of Aguilar. 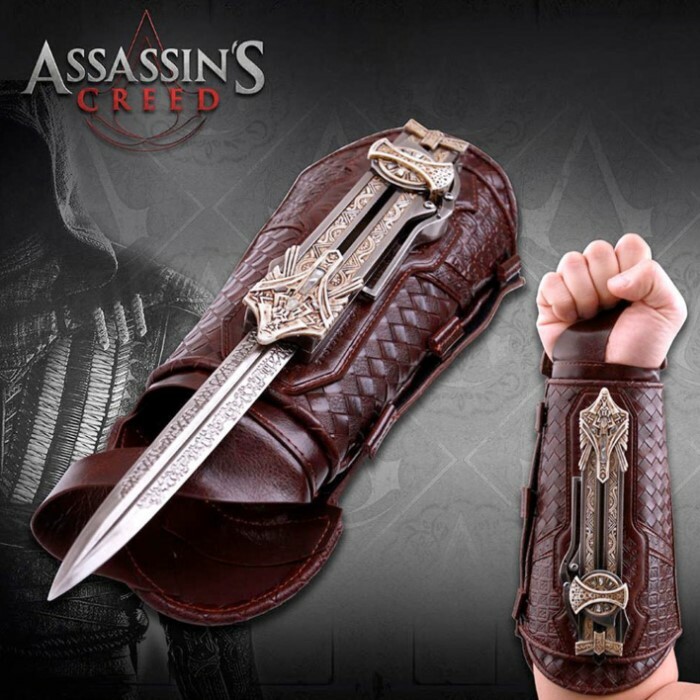 The most popular weapon from the world renowned video game and movie franchise is now available to you. Master Cutlery has carefully reproduced this famed weapon with careful attention to detail. 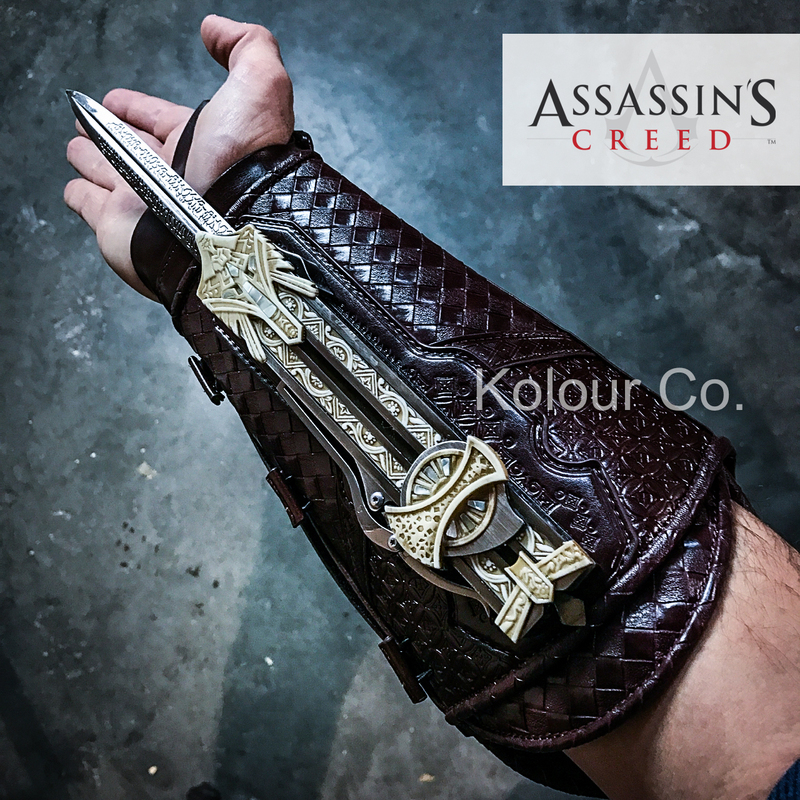 The gauntlet is carefully crafted with the finest faux leather and the retractable 8" stainless steel blade has been acid etched to mimic the design of Aguilar's personal blade. 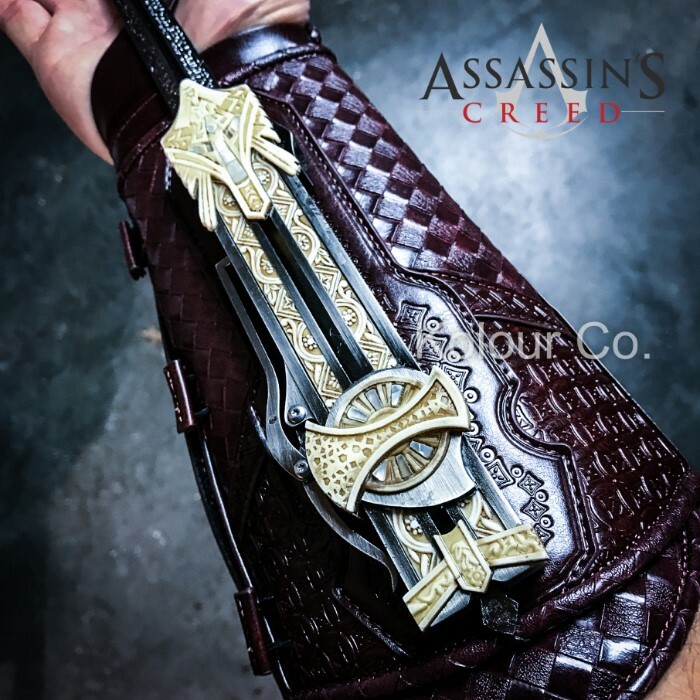 You will feel as though you've become a part of the video game when you strap this wicked weapon to your wrist and slide the blade forward for the first time. It even includes a certificate of authenticity to prove this brilliant replica is officially approved by the Assassin's Creed franchise. Get yours today before they are all gone!